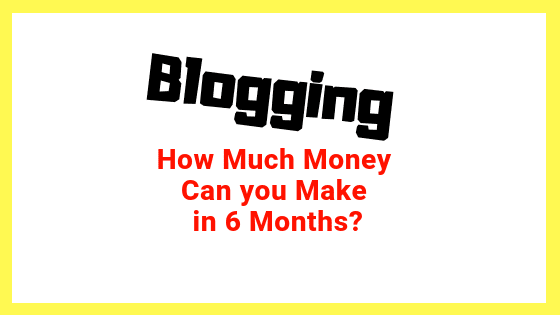 Make Money From Blogging- How Much Can You Earn in 6 Months? The answer depends on a host of factors. 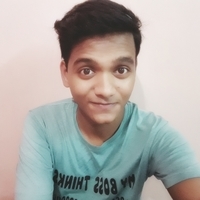 There are bloggers who have displayed tremendous growth and managed to earn hundreds of thousands of dollars in just a few months. And then there are also those who, even after years, are stuck with the marginalized and negligent return. The difference between their stories is their overall approach—and calculation. Of course, there are plenty more ways to make money from blogging. Let’s assume you’re getting 1,000 visitors every day. CTR is 1% and CPC is 0.25. In that case, your per day income from ads would be $2.5 (1% of 1000 x $0.25). This means you will make approximately $450 in 6 months. ● Your product (like eBook) costs $7. If you manage to sell at least one unit per day, you would make approx. $1,260 in 6 months. ● You’re offering consultancy service. You charge $30/hour/client. If you find at least 1 client to consult every day, you will make approximately $5,400 in 6 months. ● You’re promoting 2 affiliate links that are offering 20% per sale on products costing $100. If you make 2 sales every day, you will make approximately $7,200 in 6 months. ● You have membership site offering a recurring subscription of $5/month/person. In that case, one customer would worth $30 if they stay with you for 6 consecutive months. So if you manage to add 10 subscribers every day for the first month, you would make approximately $9,000 in 6 months. Note: These numbers are modest and very rough assumption. To that, you won’t be earning money right from the first day. But the point is that your blogging income is only as high as your traffic and revenue model. So be very careful when monetizing your blog.